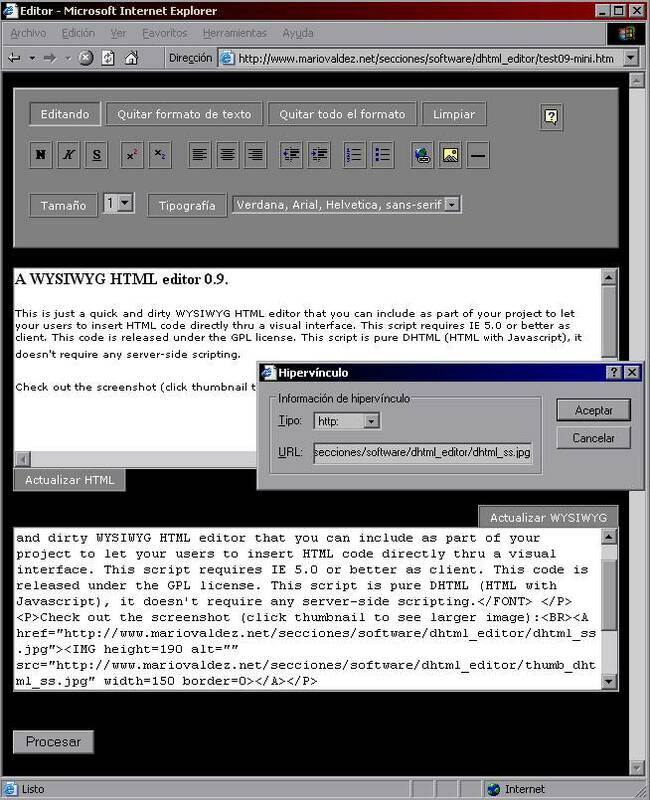 Client-side WYSIWYG HTML editor for IE 0.9. This software is too old! This software is too old and has not been maintained for so long. If you are looking for a WYSIWYG HTML editor for your web application, look for FCK Editor and HTMLArea. They are activelly maintained, they have advanced editing features, they support both Mozilla-based (like Netscape) browsers and Internet Explorer. And of course, they are free to be used in open-source and proprietary/commercial applications (FCK Editor is LGPL, and HTMLArea has a BSD-like license). Personally, I prefer FCK Editor but feel free to try both. Download the code (10 K).